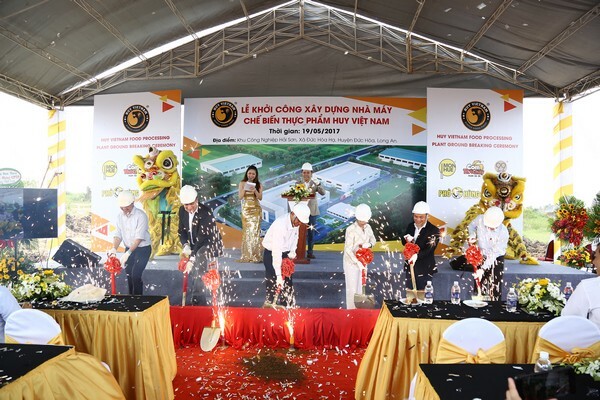 On May 19th 2017, Huy Vietnam Food Processing Plant Ground Breaking Ceremony took place at Hai Son Industrial Zone – Binh Tien 2 Ward – Duc Hoa Ha Commune - Duc Hoa District – Long An. During the ceremony, there was the presence of representatives from the departments of Long An province, People's Committee of Duc Hoa district, the Board Of Directors of Huy Vietnam Food Processing Company –the investors and the Ho Chi Minh City press agencies. 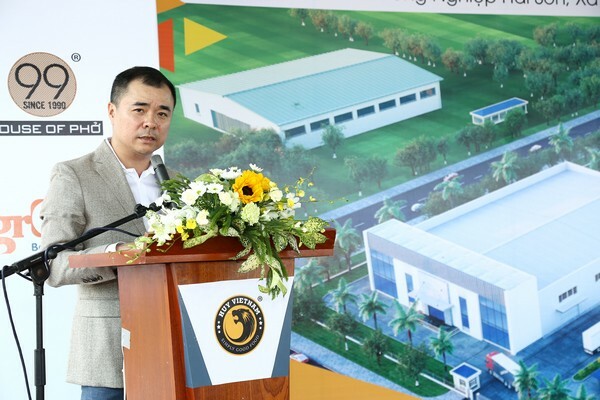 Huy Vietnam Food Processing plant project in the southern region is built on the land with an area of 20,000sqm, total investment of about 26 million USD. 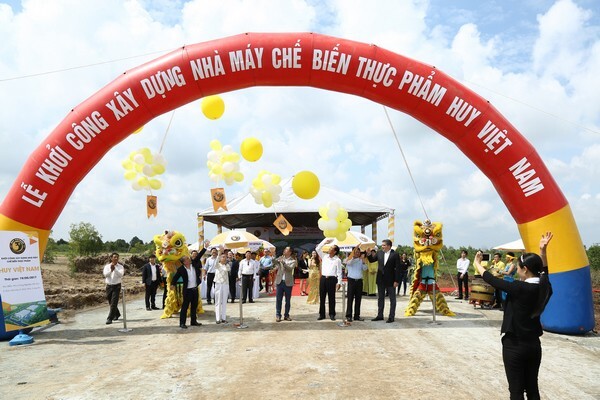 On the same day May 19th, Huy Vietnam also conducted the "Huy Vietnam Food Processing Plant Ground Breaking Ceremony" in the northern region in Ninh Hiep Industrial Zone, Gia Lam, Ha Noi. The project is built on the land with an area of 6,000sqm, total investment of 14 million USD. Photo 1: Huy Vietnam Food Processing Plant Ground Breaking Ceremony on May 19th 2017. Our factory will be fully-equipped with closed chain, equipments and technologies from Japan to achieve the highest international standards in the food processing industry, aims to produce 1 million meals a day. We are making continuous efforts to provide clean, diversed, best quality food. With more than 1,000 workers from Long An, 500 workers in HANOI will be recruited directly from local, well-trained, fully-equipped for manufacturing operations, meet the most rigorous standards. With the orientation of becoming the biggest food processing company and self-supplied restaurants in Vietnam, and expanding to abroad markets in Japan, Korea, Singapore, Hongkong, China, Malaysia, Philippines… Huy Vietnam expects to offer the diners the delicious taste, high safety standards and high quality Vietnamese meals at all Mon Hue, Pho Ong Hung, Com Tho Chay, Great Banh Mi&Café, Pho 99 retaurants.